Capital Punishment? 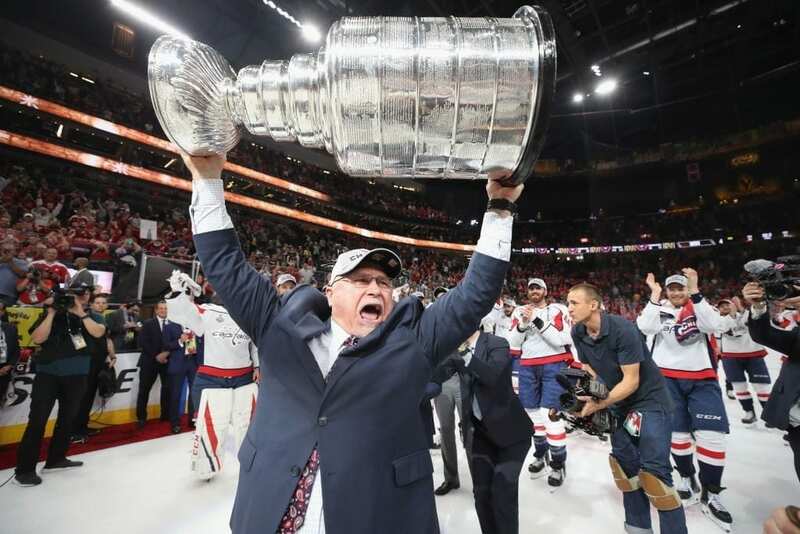 Why Cup-Winning Coach Trotz Out of D.C. Imagine for a moment you are Barry Trotz and when you are having your English muffin in the morning you realize that only Gregg Popovich, the head coach of the NBA’s San Antonio Spurs, perhaps the greatest coach in league history, has been a pro coach for more contiguous seasons than you. Here’s the score: Popovich 22, Trotz 18. And it would have been 19 had the NHL not canceled its 2004-05 season. And during those years with the NHL’s Nashville Predators and Washington Capitals, you have coached 1,524 games, fifth all-time, and won 762 games, fifth all-time. Then in 2017-18, you lead the Capitals to their first Stanley Cup championship in the 42 years of franchise history, dating to the presidency of Gerald Ford, who took his oath just two months before the puck dropped for its first game on Oct. 9, 1974 against the New York Rangers at Madison Square Garden. Then you find out just days after winning the Stanley Cup that your owner, Ted Leonsis, won’t pay you what you feel you deserve and essentially tells you not to splash ice chips on your way out of the rink. That is why Trotz and the Capitals parted company on June 11. Here’s what happened: By winning the Stanley Cup, a two-year contract extension was triggered that would have amounted to a $500,000 raise for Trotz to approximately $2 million a year. Trotz decided this wasn’t sufficient, especially when he discovered the Rangers had agreed to pay Boston University’s David Quinn about a half-million more to replace Alain Vigneault. 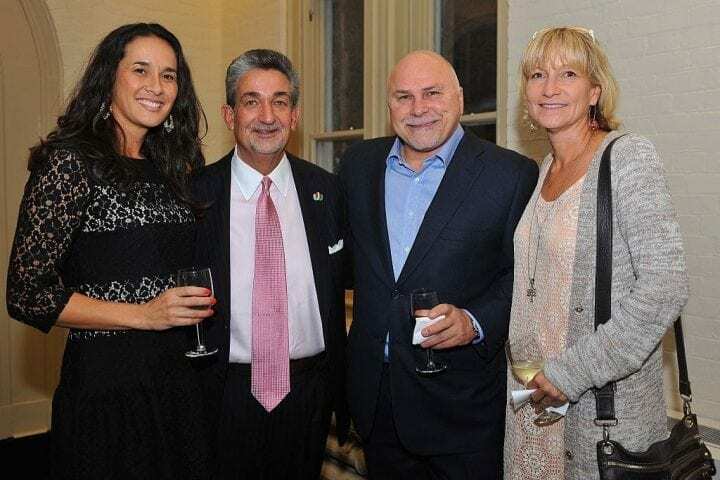 So Trotz asked the Capitals to re-write his deal, reportedly asking for $5 million annually for five years, according to Arthur Staple of The Athletic. Trotz certainly was also aware of the money other veteran coaches in the NHL were making, led by Toronto’s Mike Babcock, who reportedly makes $6.25 annually, and Chicago’s Joel Quenneville ($6 million). Wait, there’s more: The Maple Leafs were bounced in seven games by Boston in the first-round of the playoffs. And Chicago didn’t even qualify for the postseason. What does this tell you? Simply, the Capitals decided Trotz wasn’t worth a further investment. 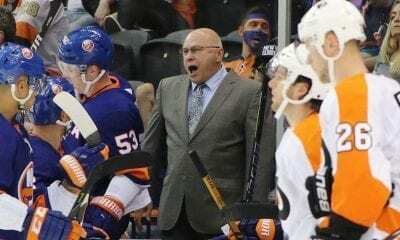 So now Trotz, 55, is looking for another job and the New York Islanders have surfaced as the likely landing strip, particularly now that crusty Lou Lamoriello, who won three Stanley Cups in New Jersey and had been Babcock’s boss in Toronto, is now running the show as president and general manager. Lamoriello has already created office space by getting rid of general manager Garth Snow, coach Doug Weight and associate head coach Greg Cronin. If the Islanders and Trotz can agree on a deal, one might think it would be soon since the 2018 NHL Draft takes place Friday and Saturday in Dallas. 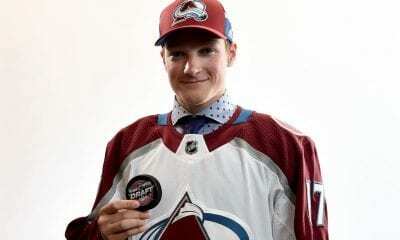 What’s more, the team’s prospect camp begins Monday. Also critical for the Islanders, 35-37-10 last season, is the state of mind of their captain, John Taveras, the first overall pick in 2009, who will become an unrestricted free agent on July 1. Taveras was second in team scoring this season (84 points) to rookie Mathew Barzal (85). Perhaps having Trotz as coach might convince Taveras its worth staying. They have already worked together in 2016 when Trotz was an assistant on Canada’s World Cup team. But really Capitals, you should have paid the man what he earned.